Is Your Weight Making Your Sleep Apnea Worse? Being overweight is a major issue for many of us, and it can have an impact on every area of our lives. While some of us can attribute our excess weight to genetics, for many of us our lifestyle plays a significant role. Genetics or not, weight loss can be so challenging. Too often we give up our weight loss efforts when it requires us to make lifestyle changes and gets too hard. However, if you suffer from sleep apnea, you have another reason to renew your weight loss efforts. 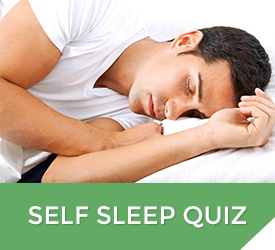 Studies show that being overweight is a major risk factor for sleep apnea. People who carry excess weight tend to have more tissue at the back for their throats, which can obstruct the airway during sleep, causing them to snore and experience sleep apnea when they stop breathing altogether. Weight loss is an essential tool in treating your sleep apnea if you’re overweight or obese. Losing weight has been shown to improve the symptoms of sleep apnea by 58%. Major weight loss can nearly cure sleep apnea but even losing just 10% of your body weight can provide a significant improvement from your symptoms. Weight loss also reduces your risk of other major health threats associated with sleep apnea, including diabetes, high blood pressure, heart disease, and strokes. Exercising can help you not only lose weight but give you extra energy, boost your confidence, and help you sleep better. But many people give up on their exercise routine when it begins to feel tedious. Others don’t start because they see exercise as annoying, uncomfortable, or too much work. You don’t have to go overboard with your exercise for it to be beneficial. Exercising for just an hour each day will improve your overall health and reduce your sleep apnea symptoms. “Lifestyle changes and weight loss are the cornerstones of OSA therapy,” say the researchers in a 2017 study. When combined with regular exercise, one of the best ways to lose weight and become improve your overall health is to eat a well-balanced diet. What kind of a diet is best to combat sleep apnea? 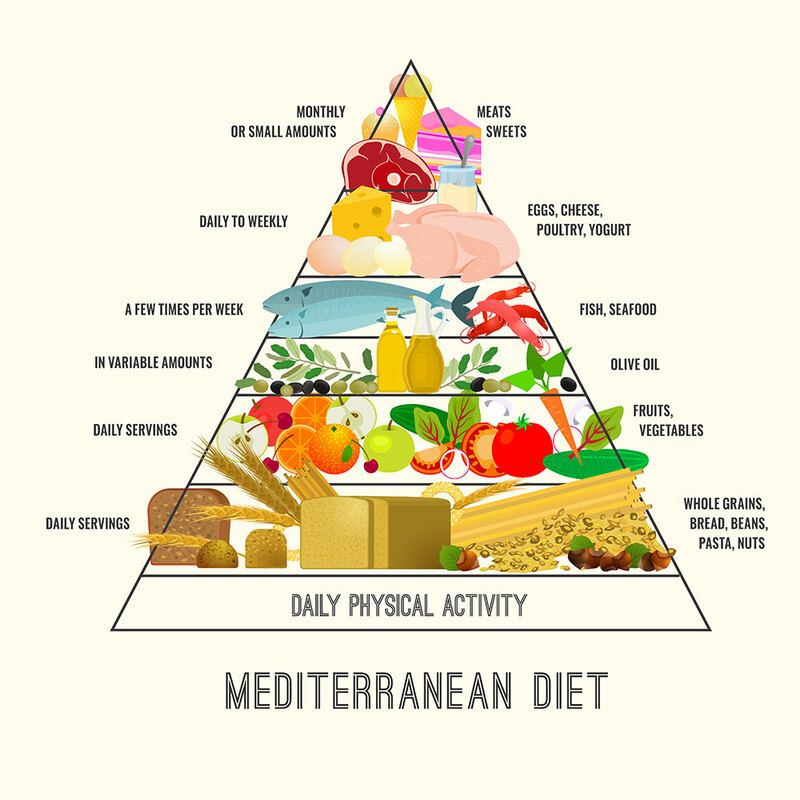 According to researchers, following a plan as easy as the Mediterranean diet can vastly improve your symptoms. As a bonus, this kind of a diet--rich in foods we love to eat like nuts, eggs, fruits, and veggies--can also improve your overall health. It’s good for maintaining a healthy heart and helps reduce the risk of diseases like cancer, and Alzheimer's. It helps to foods and meals you enjoy eating. Discover new recipes and explore healthy foods you’ve never tried before. Get creative with it, so your new way of eating becomes a part of your lifestyle. This will help you stay focused on your new way of eating, so it feels like something you want to do instead of something you have to do. Exercising, eating right, and losing weight are great ways to combat the symptoms of your sleep apnea, especially if you’re already overweight. People who aren’t overweight and who have sleep apnea may find themselves gaining weight, which can make their symptoms worse and cause a range of health problems. We encourage anyone who is suffering from sleep apnea or who suspects they may have sleep apnea to get the right diagnosis and right treatment for their condition. 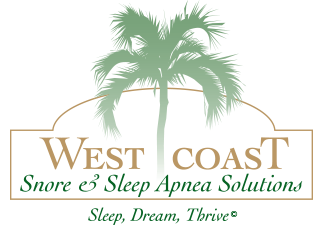 At West Coast Snore and Sleep Apnea Solutions, we offer an online sleep quiz and a take-home sleep test to help you determine if you may have sleep apnea. If you have a diagnosis of sleep apnea, we have treatment options--including same day treatment and oral appliance therapy--to help you get the restful sleep you need to be happy and healthy. Give us a call at 760-666-6554 or visit us at our Encinitas or Vista sleep apnea treatment locations.